The County of Greenville offers a mobile application to provide an easy way for citizens on the go who use an iPhone, iPad or Android device to end litter by reporting it immediately. 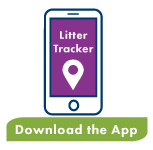 Use the Greenville County Litter Prevention app to report litterbugs, illegal dumpsites and identify areas in Greenville County, SC that need attention. We appreciate you helping to keep our County clean and beautiful! County of Greenville staff will ensure that your report is forwarded to the correct person and litter crews will come clean it up. iPhone users may go to their App store and download the app for free. Android users may also go to the Google Play store and download the app for free. Download the Litter Ends Here app and volunteer anytime. Grab your family and friends and register to receive your supplies. Pick a litter request already submitted or report and clean your own spot of choice. Submit a before and after photo of your cleanup efforts to earn a point. The more points you earn the more rewards you get. Do you have what it takes to be on our top 10? 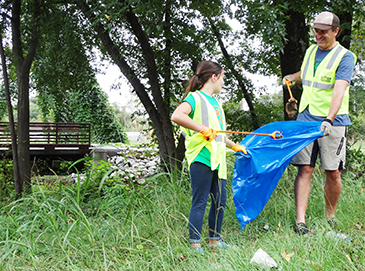 Volunteer anytime on your time to end litter in Greenville County.